There are 50 different species of plants known as ephedra. Ephedra is also known as a Chinese botanical, ma huang. It is also called Mormon Tea and Brigham Tea. Ephedra is a shrub like evergreen plant that contains several active alkaloid compounds, including ephedrine, pseudoephedrine and phenylpropanolamine, or norephedrine. Plants of the Ephedra genus, including Ephedra Sinica, Ephedra Cutleri, and Ephedra Fasciculata just to name a few, have traditionally been used for a variety of medicinal purposes, including treatment of asthma, hay fever, the common cold, low energy levels, appetite control, and weight loss. 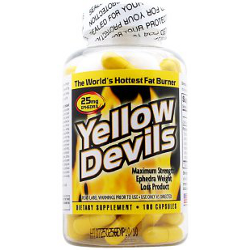 Both ephedra and ephedrine have similar effects, as central nervous system stimulants. Both stimulate cardiac muscle, which increases heart rate and raises blood pressure. They relax smooth muscle, which opens bronchial tubes. Ephedrine is still available but can only be sold by businesses licensed by the DEA to sell ephedrine. Buy Ephedrine HCL Online is licensed to sell ephedrine. Ephedrine is synthetic, manufactured in the laboratory and is sold and regulated as a drug, not as a dietary supplement. Where ephedra is herbal and is sold as an effective weight loss product. Buy Ephedrine HCL Online has all the best ephedra diet pills manufacturered today in GMP facilities.